David Martin Harris is a skilled development and communications professional, with a sound knowledge of sponsorship, contract law, business modelling and the Australian arts and cultural landscape. He is experienced in the practical side of running major cultural institutions coupled with being able to maintain successful stakeholder relationships including B2B, agency, government, sponsor, donor and industry. In his professional career, he has created some of the highest profile cultural and business partnership that exist in Australia; working with an expensive list of national and international companies to achieve prominent brand exposure and sophisticated integrated communications strategies. David has an excellent record of business development and client retention with some of the country’s most prominent arts organisations including: Carriageworks, the Australian Centre for Contemporary Art and West Australian Ballet. 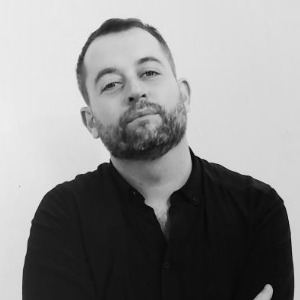 He was the Chairman and Co-Curator of SEVENTH Gallery for over three years, and a recipient of the 2019 FBi SMAC Award for Best NSW Arts Program.